It’s been about a year since my last blueberry muffin recipe. So I began my seemingly annual quest to create the softest, moistest, and best blueberry muffins. I don’t know if this recipe ‘beats’ my last since they’re different in terms of taste, texture, and ingredients, but they’re both excellent. My last blueberry muffins were vegan, using no butter or eggs, and instead use avocado to keep them soft and moist. Whereas these are made with sour cream and are the moistest muffins ever. For a jumping off point, I turned to one of my favorite cookbooks for classic recipes, The New Best Recipe from the editors of Cook’s Illustrated. It’s a 900+ page Bible and if you don’t have it, it’s well worth the $20 bucks for a classic cookbook with so many recipes, and all tested a million different ways right down to what does an extra egg yolk or one extra quarter cup of sugar do to the final result. Although I normally swear by buttermilk (or Greek yogurt) and oil to keep cakes, muffins, and quickbreads moist, there’s no buttermilk, oil, and only one-quarter cup of melted butter for 1 dozen muffins. Pretty amazing. The secret to keeping the muffins so moist and soft is sour cream. 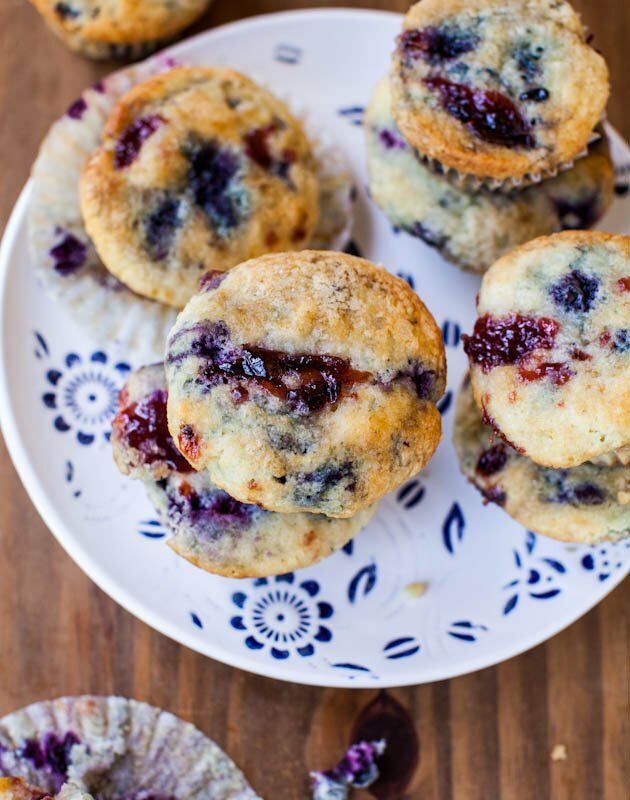 It works wonders to produce wonderfully tender and rich muffins. I used lite sour cream with success. I wouldn’t use fat-free because you need some fat for moisture, but lite worked just fine. I used frozen blueberries since they’re readily available and inexpensive. Not being reliant on fresh berries in the dead of winter is nice. I also added more than the Cook’s Illustrated recipe. Keep the berries frozen when adding them to the batter because they run and bleed less if kept frozen. They’re tossed in the dry ingredients and coating them helps prevent them from sinking as much while baking. I haven’t tried with fresh blueberries but baking time would be reduced, but I’m not sure by how much. Because there’s almost 2 cups of frozen blueberries in the batter, the pan and batter are very cold going into the oven. With over 1 cup of sour cream and a very moderate 350F oven, the muffins cook for 30 to 35 minutes, much longer than typical muffins. 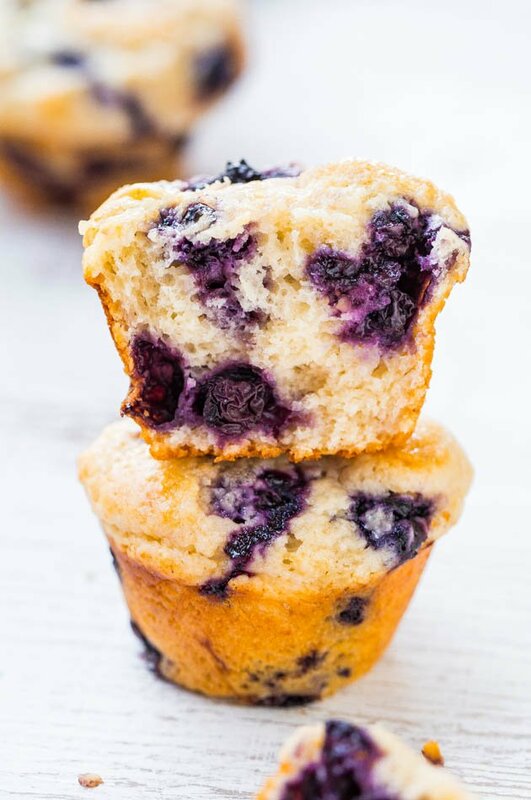 Watch your muffins and not the clock because baking times will vary based on the berries, sour cream, pan size, climate, and oven variances. The muffins don’t get very golden on top so don’t judge doneness by the color of the tops. They should be springy to the touch and do a toothpick test. 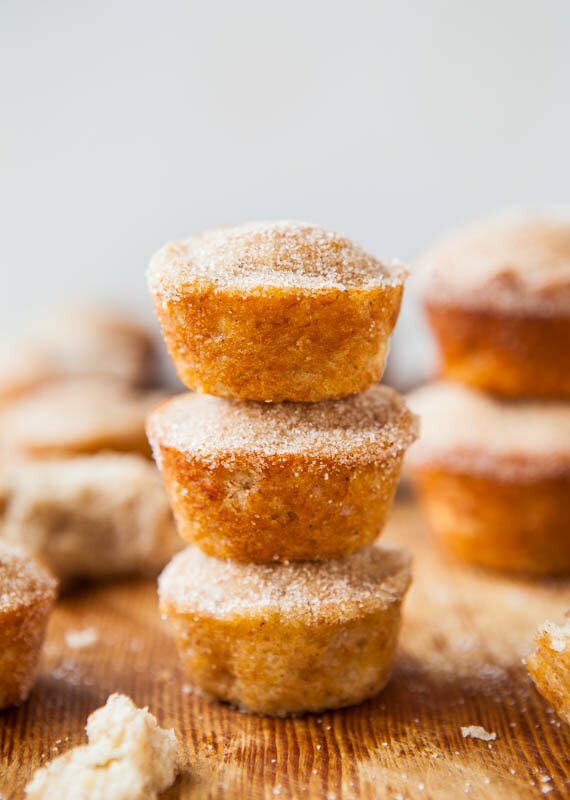 I added a few pinches of turbinado sugar to the tops before baking and while it’s almost imperceptible in terms of taste and texture, it helps the muffins achieve a more golden appearance on the tops. 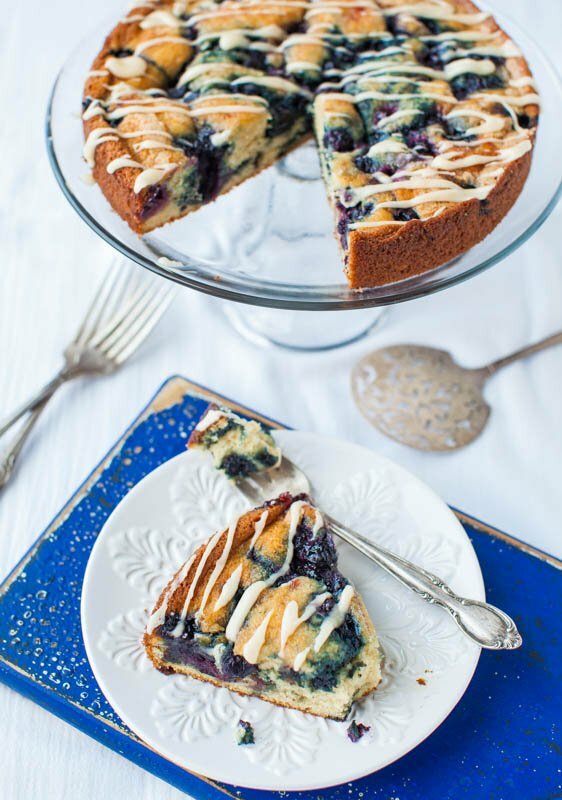 They get better as they cool because you can really appreciate the abundance of juicy berries in every bite, adding to the overall moisture quotient amidst the fluffy interior. They have a buttery soft crumb and are dense enough without being heavy, nor are they airy or cake. A great balance of density and lightness. 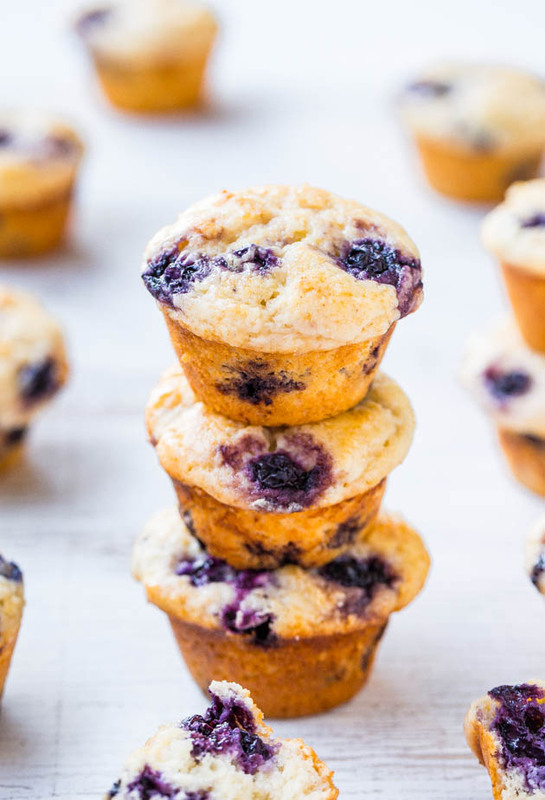 With all those blueberries staring back at you, these babies are hard to resist. 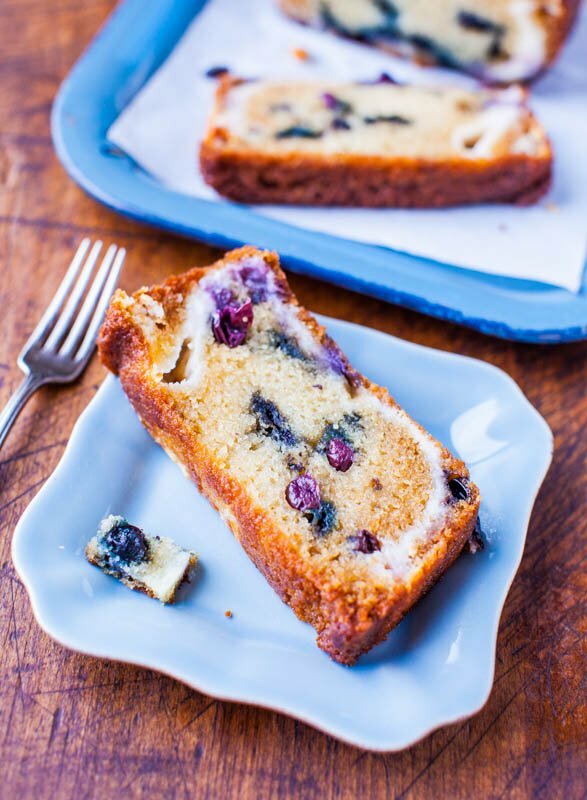 And you can never have too many blueberry muffin recipes. 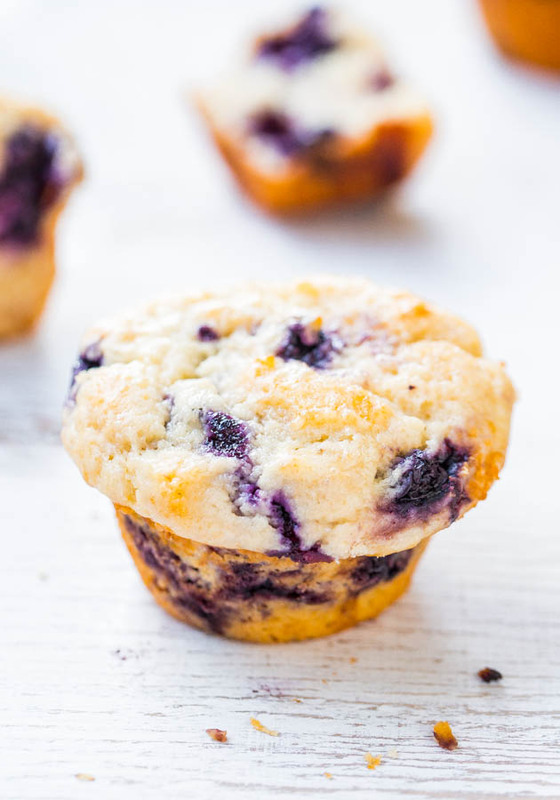 These are some of the moistest blueberry muffins I’ve ever had. There’s no buttermilk, oil, and only one-quarter cup of melted butter for the whole batch. The secret to keeping them so moist and soft is sour cream. 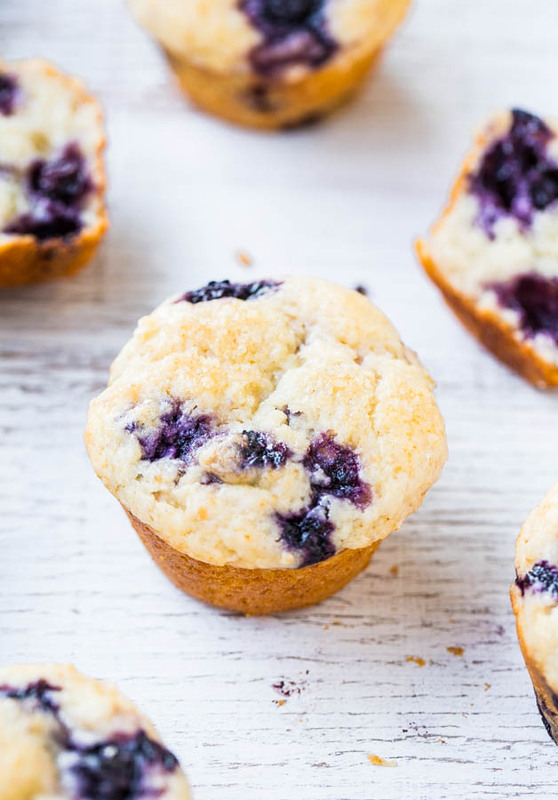 It works wonders to produce wonderfully tender and rich muffins. I used lite (not fat-free) with success. 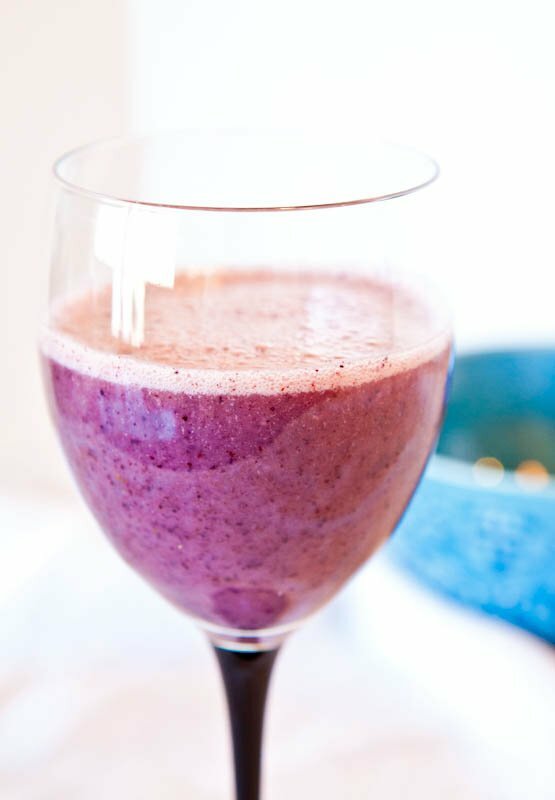 I used frozen blueberries since they’re readily available and inexpensive. Keep them frozen (do not thaw) when adding them to the batter because they run and bleed less if kept frozen. 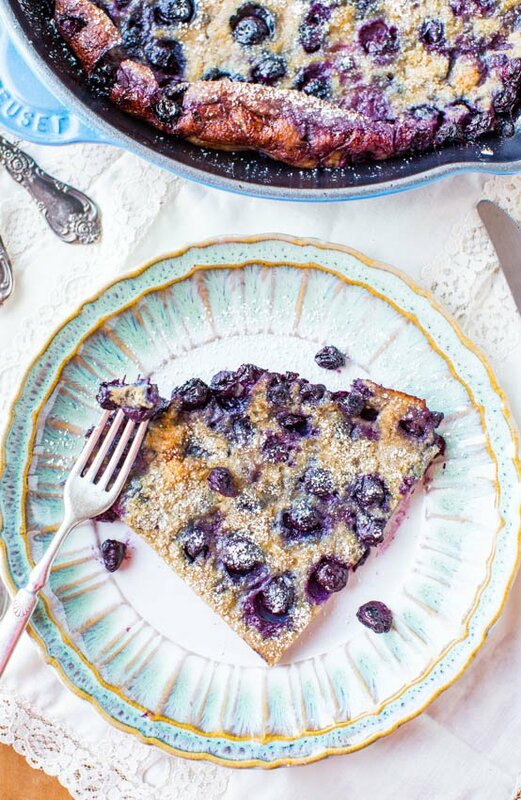 I have not tried with fresh blueberries but if you do, baking time will be reduced, but I’m not sure by how much. 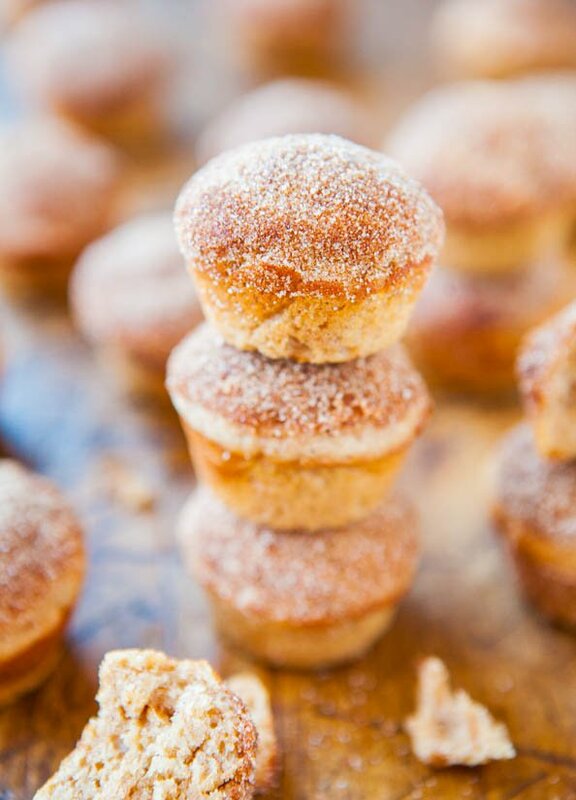 The muffins don’t get very golden on top so don’t judge their doneness by the color of the tops, although the turbinado sugar encourages a more golden color. 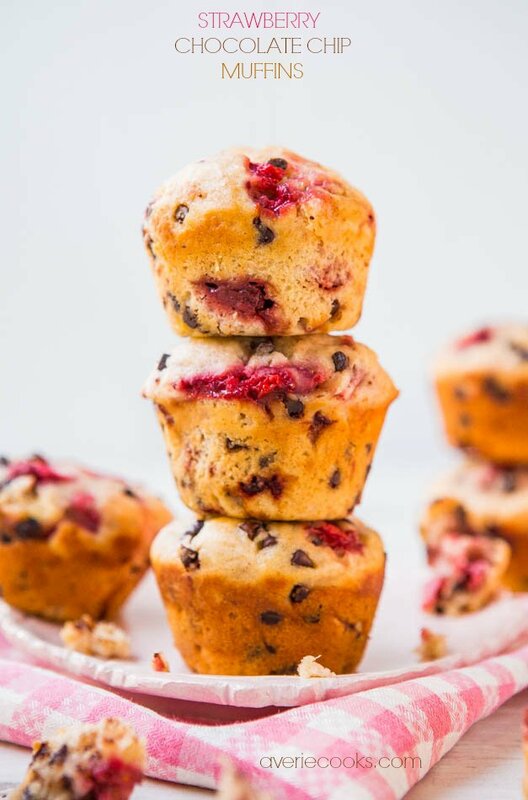 They get better as they cool because you can really appreciate the abundance of juicy berries in every bite of these soft, fluffy, buttery muffins. Preheat oven to 350F. Spray a Non-Stick 12-Cup Regular Muffin Pan with floured cooking spray (I prefer the cosmetic look of not using liners so I didn’t); set aside. In a large bowl, add flour, baking powder, optional salt, and whisk until combined; set aside. In a separate large bowl, whisk egg until well-combined and light-colored, about 20 seconds. Add 1 cup granulated sugar to the egg and whisk vigorously until thick and homogenous, about 30 seconds; set aside. In a small microwave-safe bowl, melt the butter, about 30 seconds on high power. Allow butter to cool momentarily, about 1 to 2 minutes. Slowly add the butter to the egg-sugar mixture, whisking while adding it; or add it in 2 to 3 additions, whisking after each addition until mixture is combined. Add the vanilla and whisk until combined. Add the sour cream and whisk until smooth and combined, don’t overmix; set aside. Add 1 3/4 cup frozen blueberries to the flour mixture, tossing lightly with a spatula to coat them. 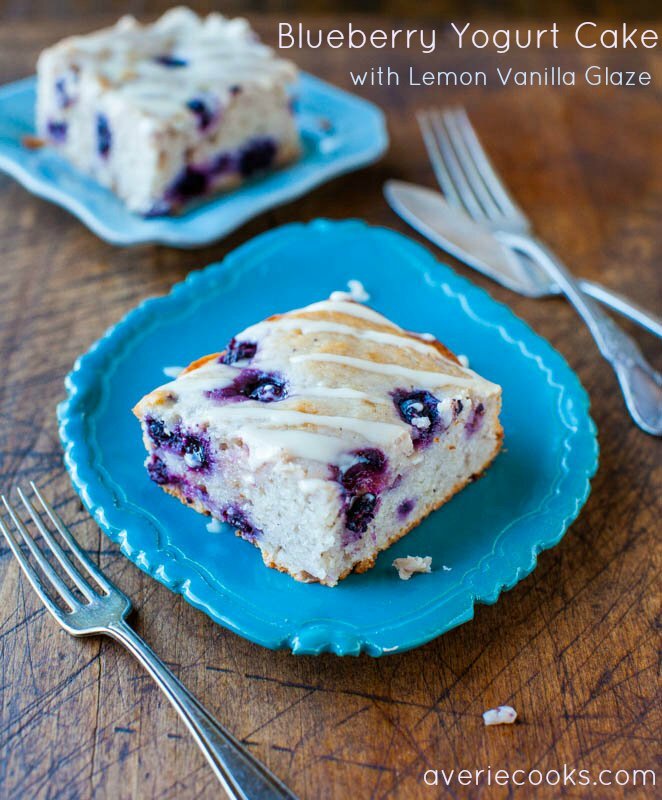 This helps prevent berries from sinking while baking. 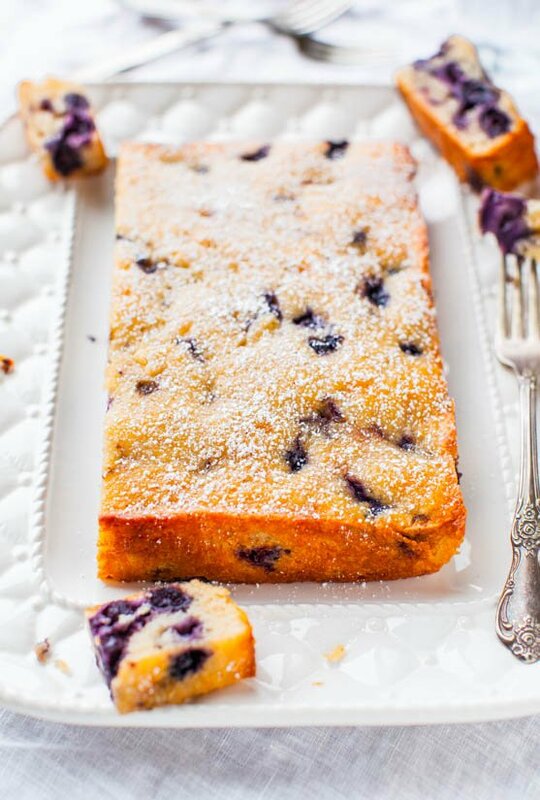 Slowly add the egg-sour cream mixture to the flour-blueberries and fold using a spatula until batter comes together, the berries are evenly distributed, and most of the flour bits are folded in (some small spots of flour can remain); don’t overmix. Batter will be quite thick. Using a large cookie scoop or cooking-sprayed heaping 1/4-cup measure, equally distribute batter in prepared pan until all batter is gone and has been distributed equally. Top each cup with about 2 blueberries (creates a nice visual appeal). Top each cup with a generous pinch of turbinado or sparkling sugar. This encourages tops to become more golden while baking. Bake for about 30 to 35 minutes (I baked 34 minutes), rotating pan once midway through baking. 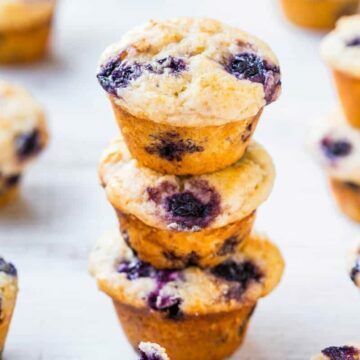 Bake until muffins are set, cooked through, soft yet springy to the touch, and a toothpick inserted in the center comes out clean, or with a few moist crumbs but no batter. 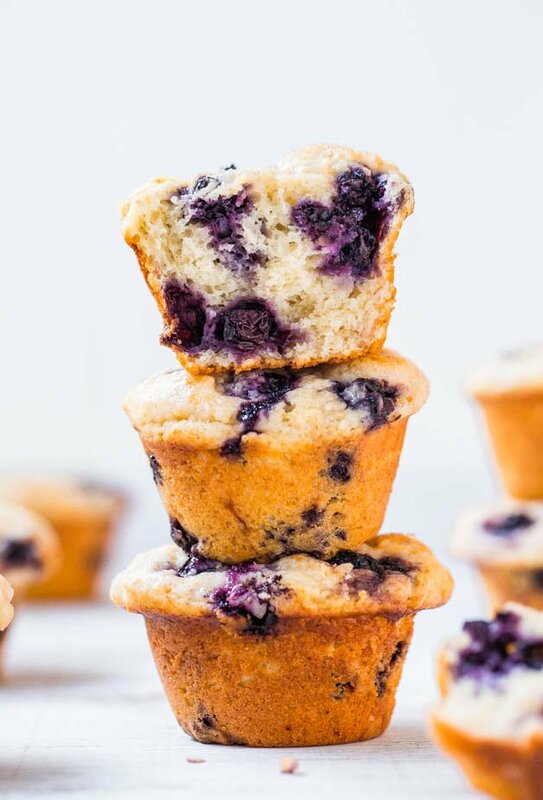 Because the moisture content in the sour cream and the blueberries varies, as do pan sizes, climates, and ovens, bake until done; watch your muffins and not the clock. 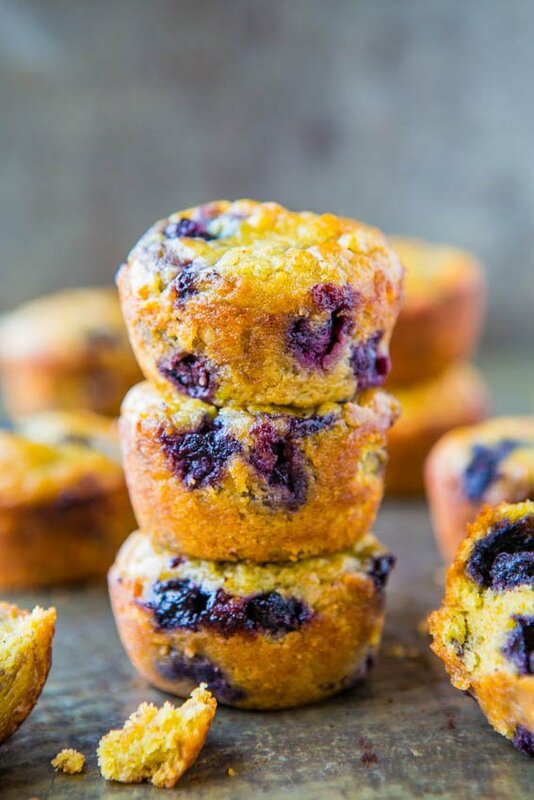 The frozen berries really cool down this batter, and due to the moisture content and heaviness of the sour cream, these muffins take longer than most to cook. The tops don’t get very golden and they stay quite pale so don’t judge their doneness by the color of the tops. Allow muffins to cool in pan for about 15 minutes before carefully removing; use a paring knife to help dislodge any stubborn ones. Muffins are best fresh, but will keep airtight at room temp for up to 5 days; or in the freezer for up to 4 months. 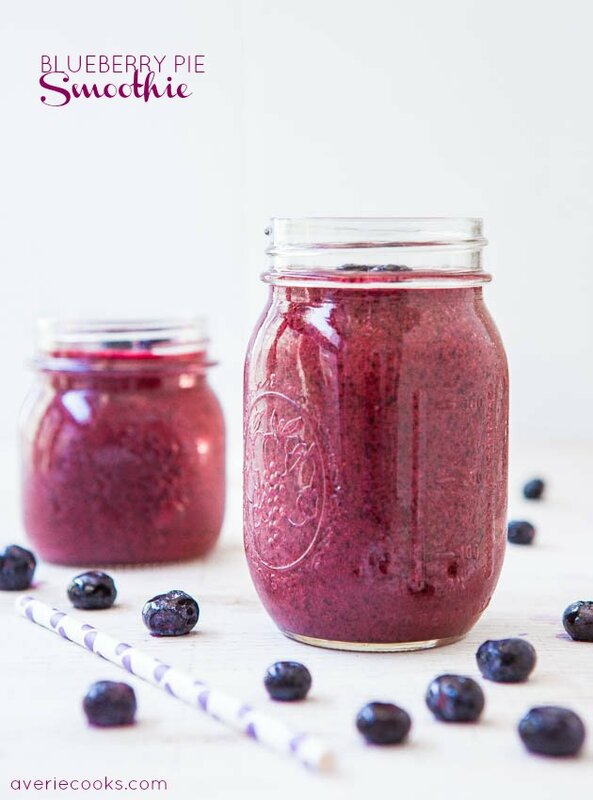 Can I use blueberries in can instead of frozen? I would use either fresh or frozen but not canned. I can’t wait to try this recipe. 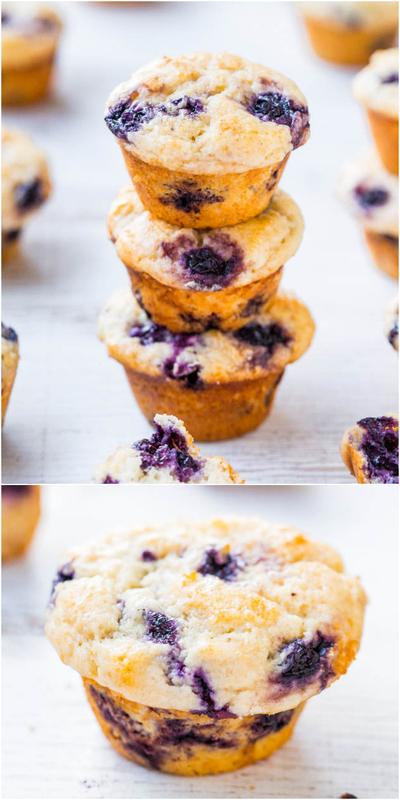 I love a blueberry muffin with a rich batter and it seems like this could be the one for me! I just have a question, when you say “lite” sour cream what is the fat percentage? The country that I live in doesn’t sell sour cream, but there are alternatives with a similar taste so I’m trying to gage the best one based on actual fat content. Thanks! I would just use a full fat product then since it can get a little tricky to guess the fat percentages. Even in the US, lite products can vary quite a bit.